We’ve conducted a unique audit of solar panel factories. You can use our results to see which brands have the right processes in place to make the best quality solar panels for your home. We went into 22 factories worldwide to check how well, or not, the panels were being manufactured. The best manufacturers ensure their solar panels are checked at each stage of the manufacturing process with tight quality controls. Our research reveals how solar panel brands like Sharp, Canadian Solar and Kyocera fared in our strict tests and which companies passed our rigorous audit. To help you choose the right brand and buy solar panels you know will last, go straight to our new review of solar PV panels. We chose to audit solar PV panel factories, rather than carry out a short-term performance test of the panels themselves. This is because we’d expect most solar panels to do well in such a snapshot test. Besides, models change all the time and if we’d tested them this summer some might not be available any more or be superseded by the time you’re reading this. So instead of performing short-term tests that are likely to be inconclusive and out of date, we’ve sent independent expert solar auditors into factories to check every stage of the manufacturing process. The quality of any solar panels you buy will rest on factors such as the glue used, backing sheet material, how weatherproof the frame is, and what quality checks are in place. 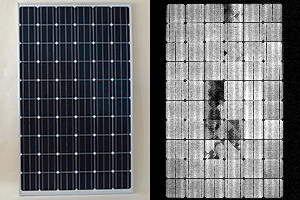 For example, a good manufacturer of solar panels would check individual cells for micro-cracks or other defects using electroluminescent testing (see image opposite). Damaged cells should be rejected. Use our research results to ensure you buy solar panels you can trust. 600,000 people in the UK now have solar photovoltaic (PV) panels. Now’s the time to join them if you want to get solar panels at the best price and make the most of the current rate of the feed-in tariff, which pays you for generating your own electricity. and the feed-in tariff, which pays householders for having solar panels, is under review. If recent government proposals are approved, the tariff’s rate will drop by 87% in January. 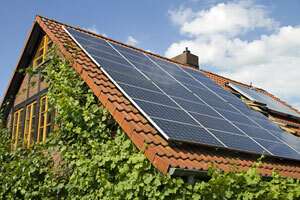 You’ll find a lot more advice on solar panels in our comprehensive guide to how to buy solar panels.